For the last few days we’ve had a small black box with a sub-$100 price tag attached to the flatscreen TV in the Macworld offices. But this isn’t Apple’s forthcoming Apple TV box—it’s the top-of-the-line member of the new Roku Player family. The new Roku boxes (left) are quite a bit smaller than their predecessors (right). One of my favorite things about the Roku players is that they’re incredibly small—so small, in fact, that I often travel with one, since all I need is a TV and a network connection and I’ve got access to my entire Netflix instant queue. The new Roku D series boxes are even smaller than their predecessors, notably less tall and with cute curved edges (and a little blue fabric tab that makes them look like they escaped from some alternate-universe Levi’s factory). They’re 4.9 inches square and 1.2 inches high, and weigh just 7.2 ounces. (That makes them bigger than the new Apple TV, but a couple of ounces lighter.) They all support playback of a growing collection of multimedia “channels,” including Amazon Video on Demand, Netflix streaming, MLB.tv, Pandora, and more. Unlike Apple’s one-size-fits-all $99 offering, Roku’s got three different models. All of them offer composite and HDMI outputs, as well as Wi-Fi and ethernet networking. $60 gets you the base model Roku HD, which supports streaming video up to 720p. (Previously Roku’s $60 player didn’t support HD video at all, so this is a step up.) The $80 Roku XD adds support for 1080p video and 802.11n networking. The $100 Roku XDS ups the ante with dual-band 802.11n networking, support for component video and Toslink optical audio out, and comes with a USB port. The Roku XDS features a USB port on the side, and component, optical, HDMI, Ethernet, and composite ports on the back. And yes, you can copy videos onto a hard drive or keychain drive and attach them to the USB port on the Roku XDS. The company is working on a new channel that will play back videos attached to the USB port. I tested out a beta version of the channel, and it worked, playing back 1080p movie trailers with no problems. It also played back 720p and lower-resolution fare easily. Bad news for fans of esoteric video formats, though: the Roku boxes support H.264 MPEG-4 video—basically the same formats that most Apple devices play. The only real difference is that the Roku XDS will play up to 1080p video, while the AppleTV can’t handle more than 720p. The new Roku boxes also come with a new remote, and on the $80 and $100 models the remote offers a few new buttons, most notably a skip-back button that lets you replay the last few seconds of content without re-buffering the entire video stream. On the software side, these Roku boxes are more or less identical to their predecessors. The Netflix interface is very nice (Roku recently overhauled it, and it shows), it’s easy to find, buy, and play back Amazon Video on Demand choices, and I’ve often enjoyed playing Pandora or watching a video podcast via one of the third-party channels. Until we get our hands on the new Apple TV, we can’t directly compare these products. But based on the specs, Roku has the advantage of 1080p video playback. The libraries of Amazon Video on Demand and iTunes are comparable, and both companies’ products support Netflix streaming. Roku’s boxes are more flexible because they support a plethora of third-party content channels, while (at least for the moment) the Apple TV is limited to the content partners Apple has coded right into its box. 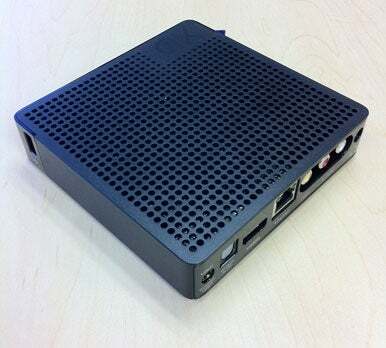 The new Roku boxes will be available on the company’s Website starting on Thursday.